My story about the school, in print! Celebrating the opening in June 2014. 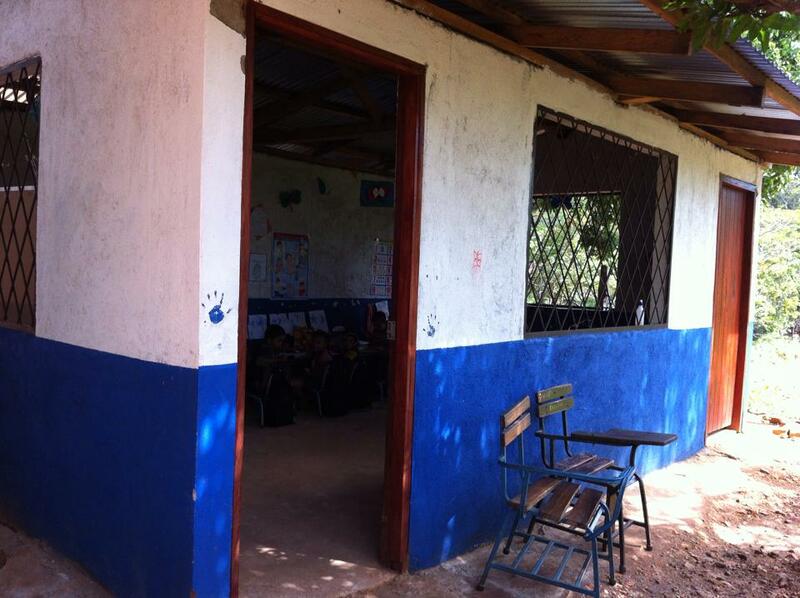 Remember when 250 of us raised $5,200 for materials and partnered with the farmers in Las Minitas, Nicaragua, to build a preschool! I wrote a story about it … and finding second family when you dive past the surface … and it’s published in my home city (Rochester, NY) newspaper, The Democrat and Chronicle, and Rochester Magazine. I just now noticed our friend on the left pointing at us. Yep, WE do this. Booboo-Yah! 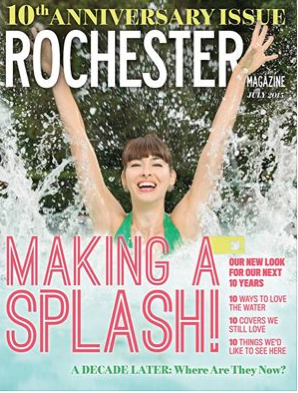 The Rochester Magazine 10th anniversary issue. 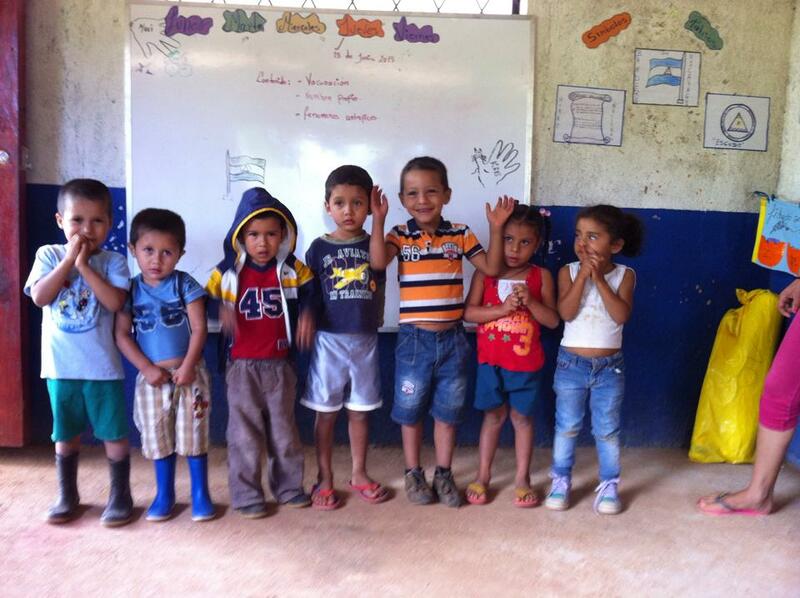 One year ago this month The Friends Project opened the preschool in Las Minitas, Nicaragua. On the newsstands today, the 10th anniversary issue of Rochester Magazine features a personal essay and lots of photos about our project! It’s a celebration of community, collaboration and an intimate look at what it was like to build it beside the farmers. Run to the newsstands and spread the word: Everyday people can make tremendous change — just ask us! 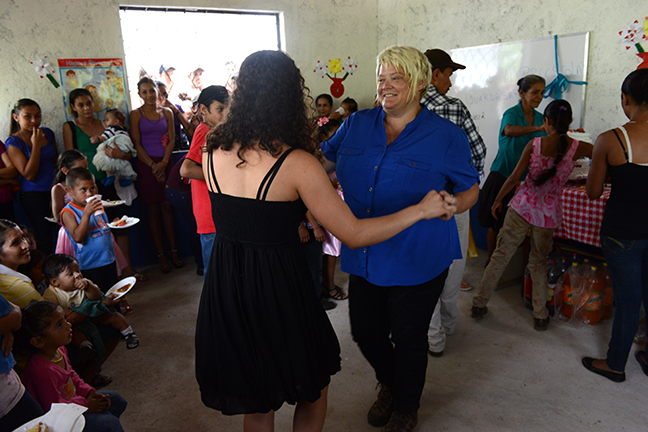 Me, dancing with teacher Marisela, to mariachi music during the opening. 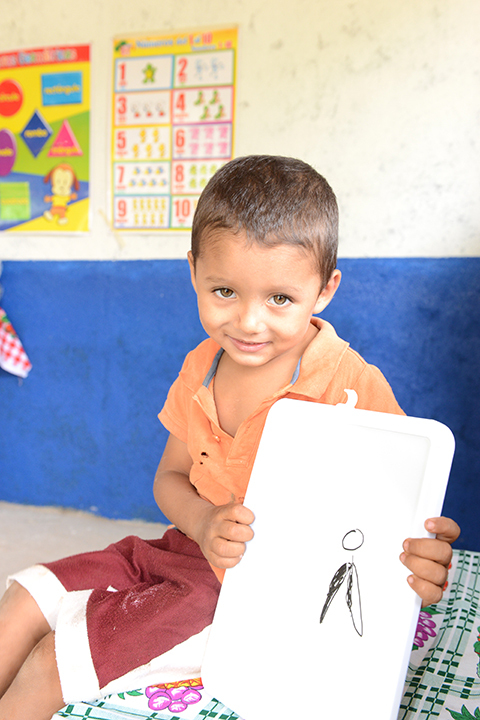 Joselito, holding his version of The Friends Project logo, during the first day of school at the preschool, 2014. This time last year …. 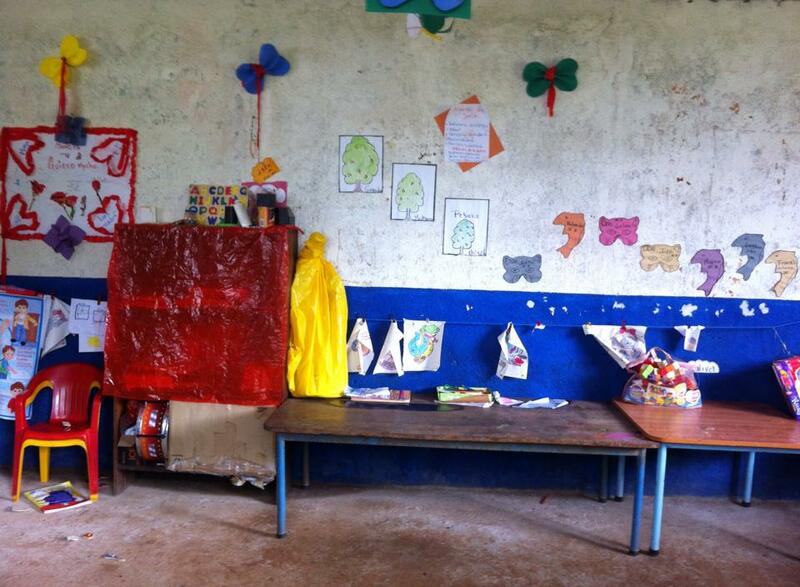 we opened the Las Minitas school! It was this month last year that I gathered outside the Las Minitas preschool with more than 60 people, who had walked and ridden their horses to celebrate its grand opening — and new opportunities for their children. When I see these photos, I am again floored by the support the idea to help the farmers create a school received from everyone in Rochester, and beyond. 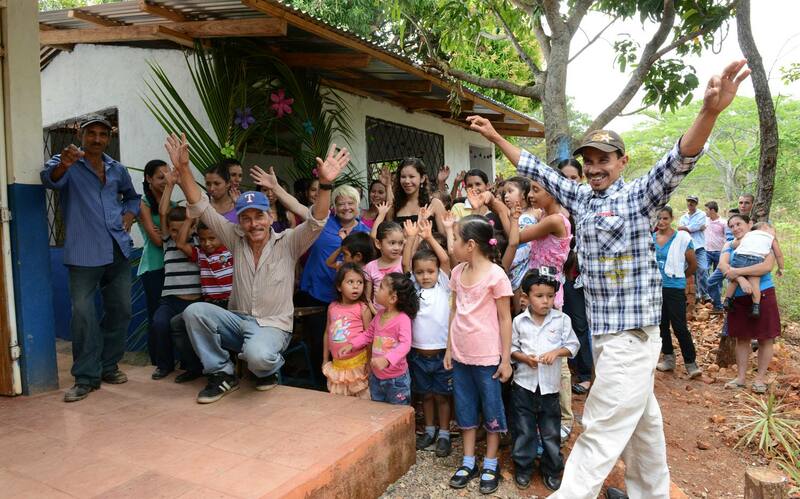 Our $5,300 paid for a mason and helpers, the materials to build, and confirmed to Alcides and the other families that we are in this together. See little Joselito’s fingerprints at the door? They will be there long after he and the current 17 students move on to elementary, then high school and then … who knows. That’s a great feeling. WE do this! During a class. June 2015. It takes a village: These friends take it to heart. We are helping. 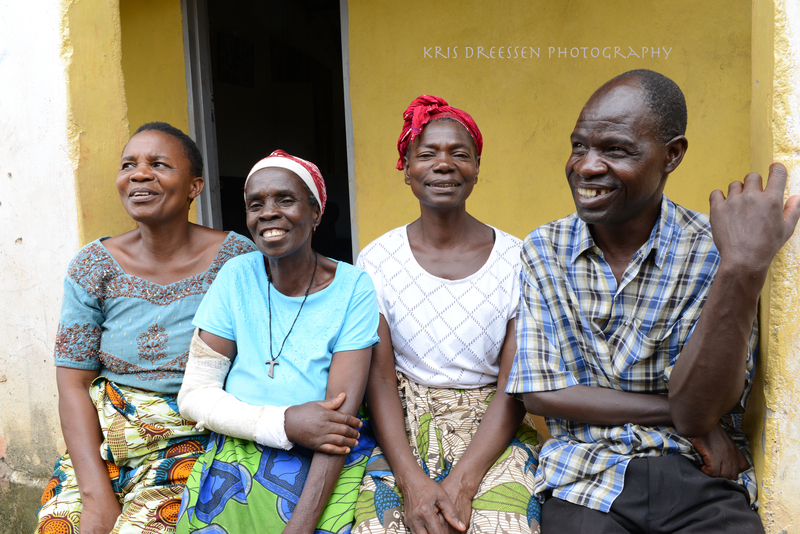 Margaret Nsombo, left, with some of the neighbors she and her friends help. OUR GRASSROOTS EFFORT, THE FRIENDS PROJECT, IS PROUD TO PROVIDE $500 IN SCHOLARSHIPS. 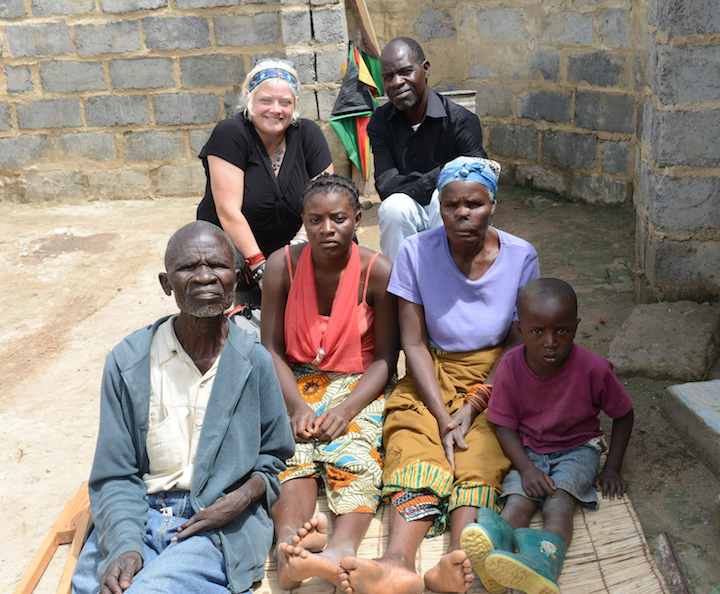 On the outskirts of Ndola, schoolteacher Lillian Hetman, Margaret Nsombo and a group of their friends have started their own outreach, based on faith and faith in their ability to help their neighbors. One day, they hope to have a building to gather in; right now, they envision what they can do between shoulder-height walls of logs and a small foundation. It will be a meeting place that symbolizes what they have been doing for several years — providing school fees and supplies for young children whose families can’t afford it, food for the most needy, and friendship. They are living the concept that it “takes a village to raise a child.” The Friends Project is honored to join their effort. 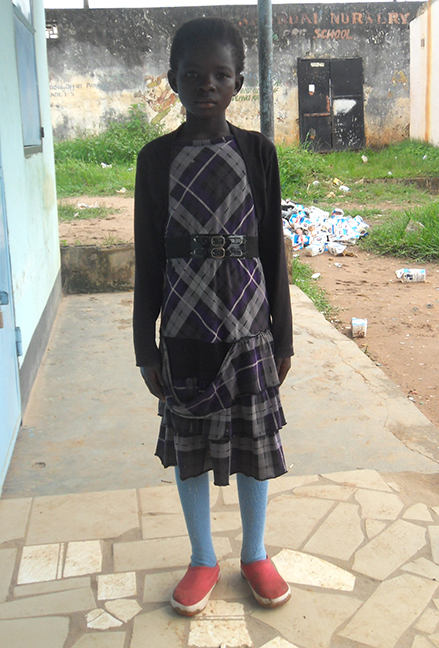 On New Year’s Day, people come to Margaret’s house for soda and well wishes, a new beginning. 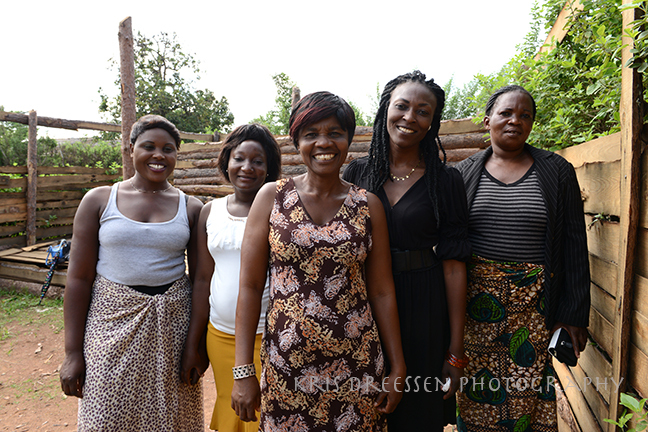 Margaret Nsombo, middle, Lillian Hetman, second from right, and other women from the outreach at their future gathering place. 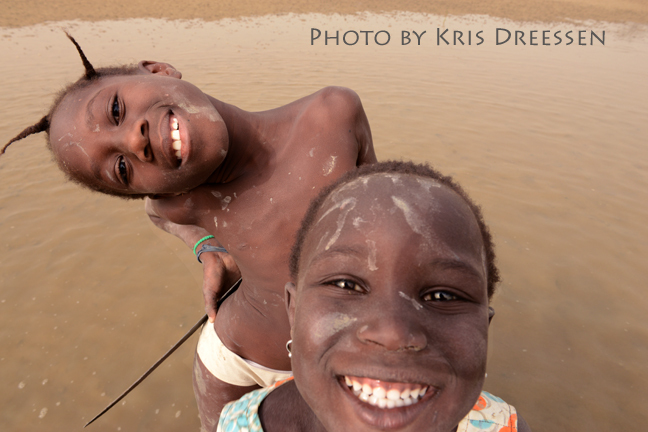 One day, Margaret and Lillian and the ladies walked with me to their future gathering place. I met a family who knows their work first-hand, and some of the kids who rely on their community approach to opportunities to have one at school. They do it with no outside funding, and no deep pockets to reach into. Still, they get it done. This week, The Friends Project provided a $500 gift to the women’s outreach; it will be split between students for their fees, as much as it can go around. Some of the recipients are pictured here. We look forward to updates and seeing how the students are faring. One gift, many possibilities. Young minds that we can only imagine now where they will go. Me with new friends at the New Year’s gathering. 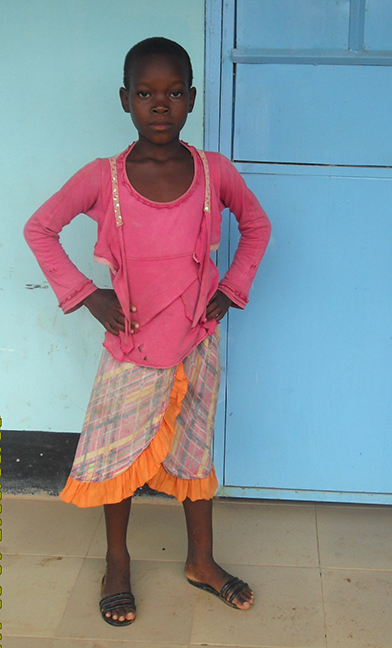 School children who will receive scholarhips for school fees. News article about The Friends Project coming soon! 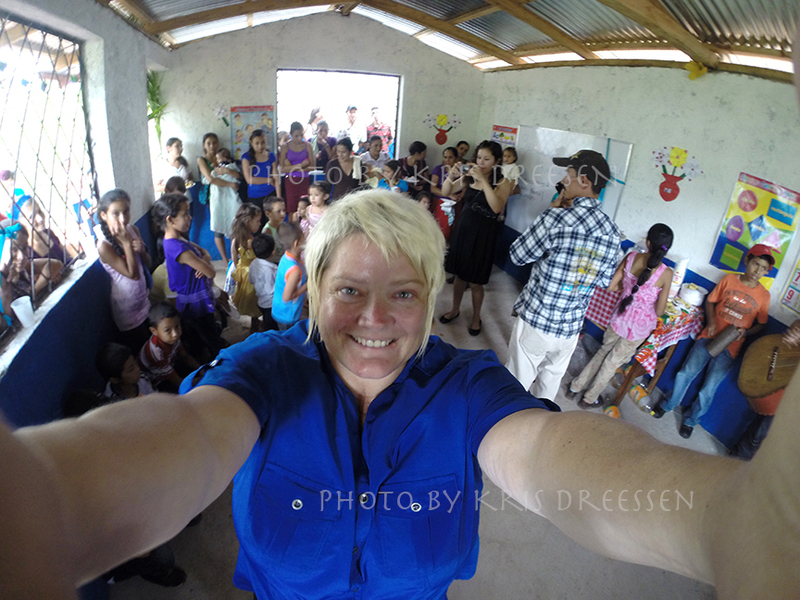 Me, with the residents of Las Minitas at the opening celebration of the school. More than 200 people came together from Rochester and beyond to raise $5,200 to help the farmers realize their dream.Later this month, Rochester Magazine will feature a first-person essay about The Friends Project mission and the experience of building the school … It’s a fine magazine and I’m proud to amplify our supporters’ belief that everyday people can make a tremendous impact. Here’s a look at our school on a day off last week, 2015, a year after opening. Come Monday, it will be full of kids! The preschool, after the kids have gone home, in June 2015. 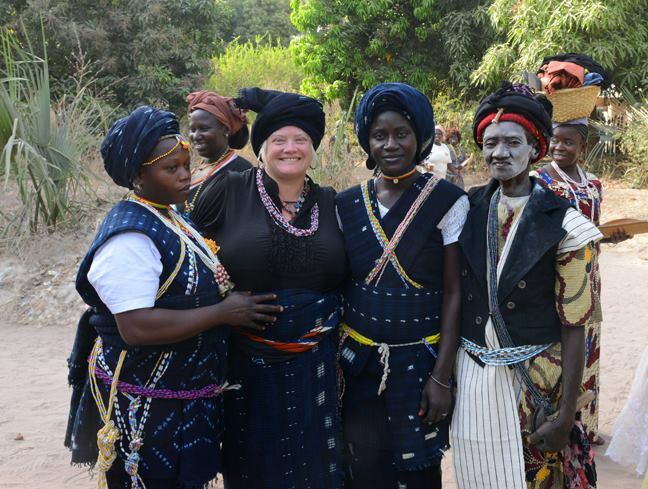 Myself with the women before we entered the forest. My Wednesday: ask Joola women of Enampore to observe a ceremony of newlyweds. They took us in, treated us like the women and put us in traditional dress head to toe. Then they sang into the sacred forest, where we shed our shoes and danced for hours, to the rhythm of wood used as drums. Our guardian? One of the brides. This is when they walked us home. They seemed happy I could keep up with them dancing. Yesterday, these kids were part of a big group of kids who swam with us, gave us oysters and held our hands at all times possible. A great day. Let’s look back at the first Friends Project experience, when I touched down in sweltering Lima, Peru, on my way to the Amazon. This is how it all started! Look how far we’ve come. I land in Lima sticky and deflated from crossing two continents, and a little shaky from sitting in the flying bird for 12 hours wondering how this is all going to pan out. Two weeks on a research boat with scientists hunting for caiman, searching for macaws and pink river dolphins and rare monkeys, and finding a good home for $460 along the way. I have pitched in and my friends have given me money to put to good use while I’m in Peru. It gets me every time. I also know it means that I’m doing something new, so it’s good I don’t know what to expect. As promised, Hotel Espana sends me a driver, no additional cost. In the crowd of people and throng of placards at baggage claim, he’s holding a paper with my name on it. I am an eat-lunch-out-of-the-rucksack, sleep in stacked beds eight to a room girl, so I feel pretty fancy. Cesar. He extends his hand, shoots me a smile and asks if I speak Spanish. “Mas o menos. Mas menos.” It was my standard reply when I traipsed around Costa Rica last summer: More or less. Mostly less. In other words, don’t expect much. We step out into the Lima night, thick with heat even though it’s past ten. Somewhere the stars are up there, but the city’s constant curtain of smog and clouds shrouds the sky. Cesar’s cab reminds me of my first car, a small putt-putter with a bit of paneling missing. Sort of like my car now. I strap myself in tight. I know what’s coming. You never get used to the South American procession: the honking, the tailgating, the heart-stopping speeds and the careening in and out of lanes. A car nearly skims my door on the first merge. We motor down the mobbed streets, with the ¨crazy drivers¨ (he says), the stray dogs shuffling, girls selling sweets roadside, the horns and music and guns a blaring. Cesar warns me his English is as good as my Spanish. Despite this, we give it a go. I always land in the wrong country for the languages I know. I crucify Spanish, he throws in an English word or two, and when all else fails we mime. We are driving through some of the poorest neighborhoods of Lima. It’s Saturday night and it seems everyone is out, shooting the breeze on the corners, playing cards, moms holding their toddlers on stoops selling pots filled with food, and young couples necking at the doorsteps. The houses are concrete squares with bars on the windows or sometimes clapboard and rubble with no doors. Everyone’s hanging out because there’s nowhere to go. Life rolls by and I remember Belen, where I lived in northeastern Brazil studying the Amazon rainforest, living with a family and making lifelong friends. They saved me from a skinhead attack my first night out at a metal bar and we were inseparable after. Some were studying, some were working and some were very poor. I visited Gustavo, who lived in a house like these. Two rooms, with his mom and dad and sister sleeping in the kitchen which was also the family room. Joey’s spare room was void of all but poured concrete. We took photos of his band in there because it was pure empty space. It was good to be on the inside, to know them, to be intimate, to be a part of their lives, and not just passing by. In my new ride, Cesar and I talk about politics, life, poorness, many things. Election posters are pasted up on every light pole and shuttered storefront. Most are painted right on the concrete. Alan. Ollanta. In the U.S., Peru’s candidates get minimal press. Cesar’s happy to break it down for me and I want to hear it from a resident, not some pundit who pegged Ollanta as a leftie because he wants to give land to the poor, like Chavez. And is that such a bad idea? Cesar gives me a fuller view. Ollanta’s a crazy military man. He wants to fight Chile. Alan was a bad leader; he was president before. Will they give him a new chance? The woman stands a chance too. I get to know him, in simple sentences. He works for Hotel Espana for 12 years. Only Espana. He picks up backpackers at the airport, drops them off. Takes them to bars and museums and brings them home late at night. It’s good to meet people from the world. He gets to learn English. He gets to travel by talking to people. He is married and has three kids. Having a family is expensive in Peru. He points to the people in the shadows as we maneuver ’round the potholes. He lives outside Lima and is paid by the hour. Public schools are free. Which is good, but they are not so good. Families must buy their own books and pens. The Peruvian government was corrupt. He and his friends don’t like George W. Bush. His dad? He was OK. 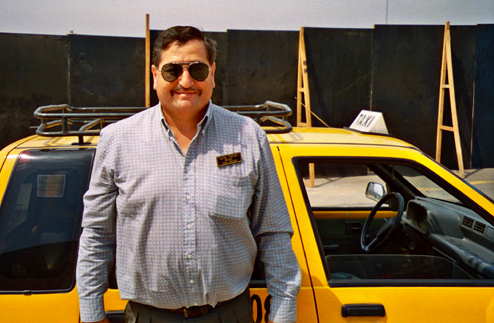 Apparently, the first George sent down 2,000 old school buses to Peru for their transportation. “He is nice,” Cesar said. I peer out at Plaza de Armas bleary eyed and say farewell to Cesar at the door. I don’t have much time before my flight to Iquitos in the morning. He promises to get me after a little exploring. I’m wowed by the hotel – an $8-a-night gem, as promised by other travelers before me, in an old mansion with a chandelier and statues and giant religious paintings and a view of the San Francisco monastery from my balcony room. I’m glad I heeded the warnings and brought my own stash of toilet paper. In the morning, I check it out and snap some photos of the sights. Cesar’s waiting for me when I get back. It’s another mad dash to the airport, jockeying for position on election day. People are lined up throughout the city to vote, and it’s traffic chaos. There’s construction on one street but by some miracle, our drivers have managed to make one lane into three. I suppress my urge to reach out and actually touch the guy’s shoulder in the wagon next to me. Cesar laughs at the crazy drivers and keeps his cool. You won’t have a heart attack, driving all day, here? No, he laughs, as some other madman lays on the horn. The traffic gods deliver us to the airport without loss of life or limb and I climb out. Cesar hands me my backpack full of patches from various countries; asks me if I’ve been all these places. I give him the first $20 so he can do something nice for his family, for which daily life probably doesn’t afford. I know he has enough to live, but I’d bet he struggles for luxuries. No one here is paid that much, at least not a driver who paid all he earned on both my fares on the gas he bought during our trip. I knew from his face that the gesture, more than the money, really meant something to him and was a great surprise. I waved and walked into the airport. The jitters disappeared. This is gonna be good. 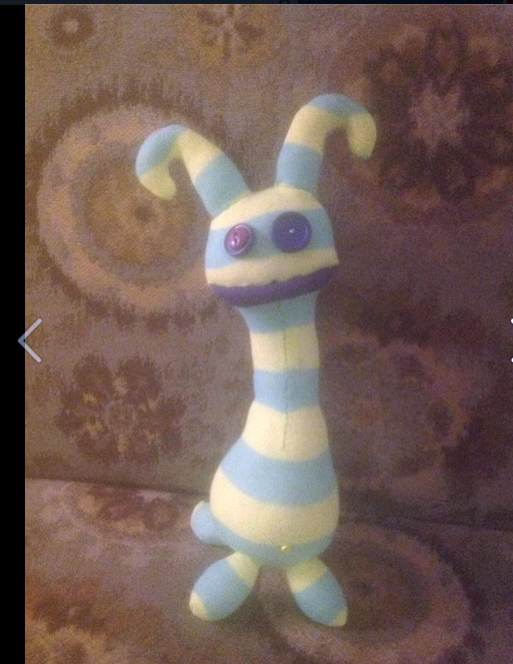 Our dear friend and supporter of The Friends Project, Kathleen Copehagen, handmade a little sock “monster” (he’s too cute for that title!) 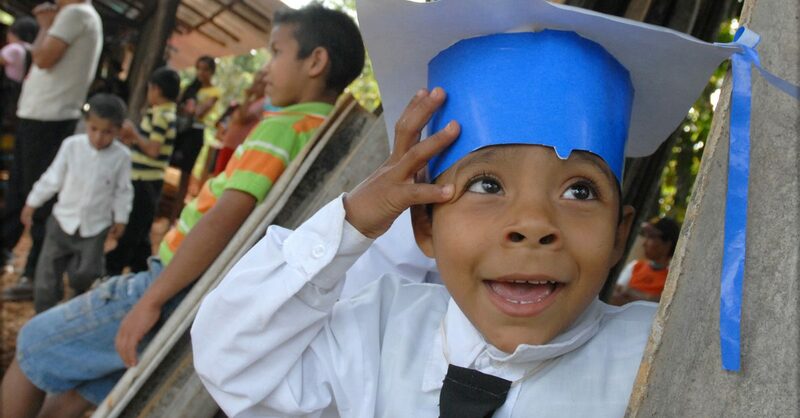 to serve as the school mascot in the preschool in Las Minitas. 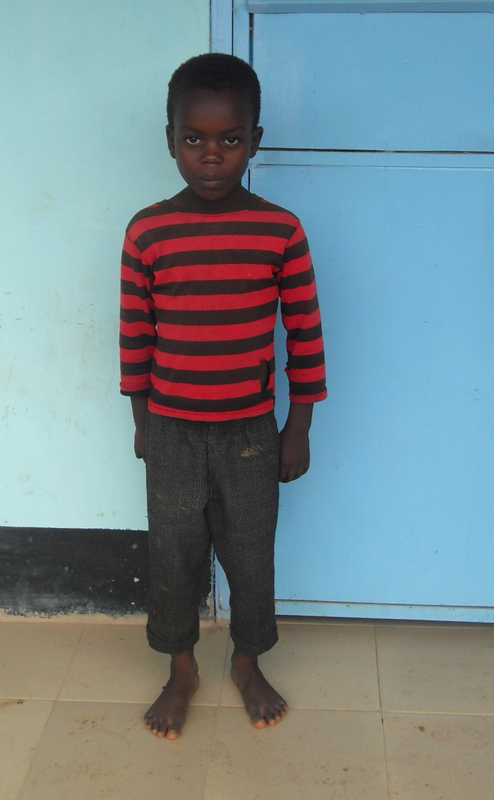 Ronaldo and the other kiddos thought he looked like a rabbit, so they call him “Conejo.” (Co-nay-ho). Maybe we can get a photo of him with his new friends this month! Here its, my little heart throbbing on the table. See what’s inside. I finally saw “Into the Wild.” Do you know this story? It is a true one. A college graduate who wished to seek truth and simplicity gave up his possessions, gave his money to charity, drove his junker car out into the desert and abandoned it and then set off penniless to to make it to Alaska and to make it living in the wild. I read the book. I know how it ends. I have often wondered why so MANY people like this movie — find the story compelling – when it is about a chosen experience that few people would ever take. I cried. Not the choke it back kind, the sobbing, but the streaming down your face, letting it roll kind. When he decides that he is ready to go ‘back,’ he cannot. The river is too wild. He is trapped. He mistakenly chooses the wrong plants to eat and poisons himself. He kept a diary. That’s how we know what happened to him. How WE believe we are meant to live in this short life. This guy? As crazy as it sounded, as reckless or as bad an idea it was because he didn’t really know how to do it, it is such a famous story because he did it. He walked up to that cliff, and he leapt high and far and went for it. I don’t know if I really ever told you how I ended up here. Since I was a little kid, I dreamed of going to the Amazon, of living there and being an explorer, and of literally taking a trip around the world. I worked toward it for 12 years before I got on that plane. I was meant to go in last November and spend 6 months in Nicaragua first. Moneywise, I wised up and realized I had not enough (clearly, I still did not) and stayed an extra three months. During those months? There were many many long hours inside this head, fearful and scared. What if I am unable to make this story writing a go? What if I can’t do the tribes? What if I come back and can never find a job and am destitute and homeless? The biggest ‘What if” was always the loss. Always. Not of things or money … I really care nothing of those in the end … but of … the few really strong ties that I make with people. What if I am lonely? What if I make this journey and give everything up — and am not content? what then? I had some long writing sessions and talks with myself and in the end, I had to make that leap. I jumped. High and far and have not looked back. NONE of the things I was so worried about have come to be. None. I am not lonely on the road. I make friends easily and love to experience all things, and can find the fun or the good or the interesting in pretty much every single situation. I don’t even mind sliding in a pile of deer poop in front of people. When I hear music I like, I dance. In the national park, under the mountains, and in the super market. I can not imagine myself not saying “I am a photojournalist working with tribes with disappearing and changing languages” and therefore I will make it work. I am always reeady to add news lives to this one I’m living. Life is so … amazing … really truly amazing, and it is so, so fantastically short. On this airplane, every few hours there is a pang where I have this pang of fear of oh my God we can crash and I would die. I don’t want to die! My friends have died. I have been to many murder and death scenes and seen dead bodies in my job and so many times, it is so sudden and unexpected. I had found my “one” once. I would have married him.I was 21. He was there, and then he died. That was it. There is such grief there it is hard to explain. It was only this year that I could truly see his face — see him as he was and who he was — his essence. I was finally ready to open my heart and let people, in and not protect myself from that grief again. It freed me in that last part of myself that was unable to let go and to leap. Look over that emotional ledge, which is the hardest one. I think people identify with this film because they admire Chris McCandless, the guy who walked off into the wilderness … because we all long to do “it” whatever that dream is, and many people don’t for many reasons. I had just told him that I was going into the Amazon for three weeks with scientists I had never met. I had just jumped out of a plane. I am always the person you met “Out there,” whether in Rochester, in high school, on an overnight train in freezing Czech; the girl who got on that plane 10 months ago. It is me, still now, with the brand new seal of “wearing my heart on my sleeve” still on. All other things? I do without fear. Go live with the Tirikis. Walk into a Bukusu circumcision having no idea what’s happening in a hut near Uganda. 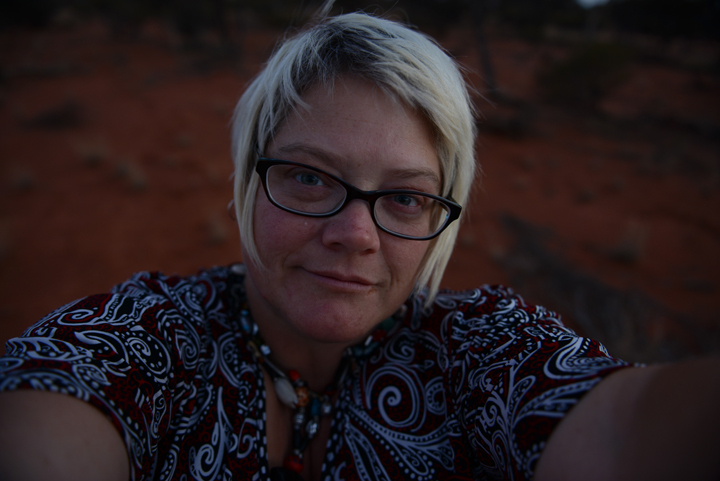 Waltz into Kalgoorlie and make a little life there. Those things? They ARE who I am. I am my best self. I am afraid of caring so deeply, and then having it ripped away; of losing it. The people or the moments, because I know how sweet it is. 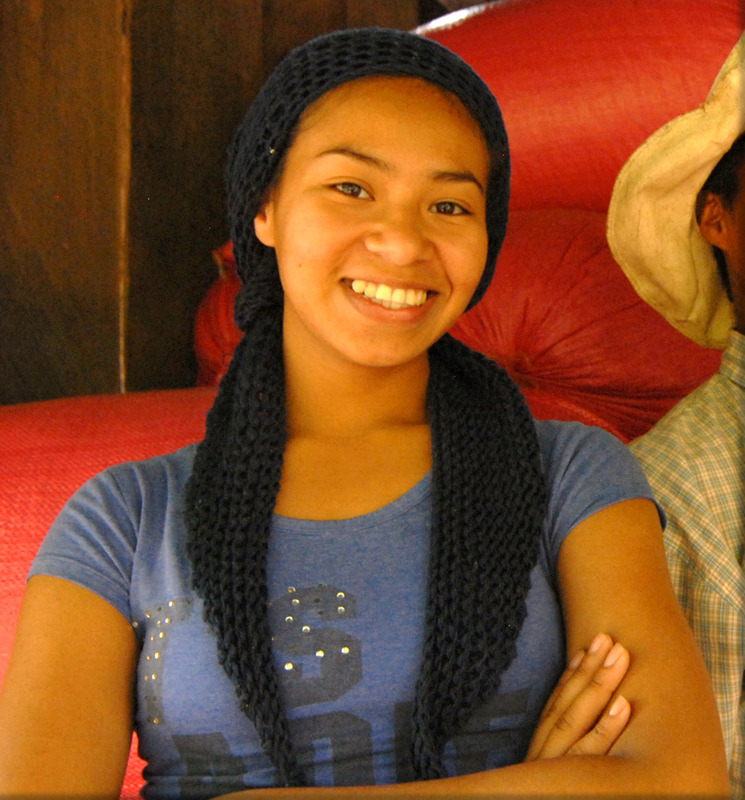 Five years ago, Jessenia and her family needed some assistance in affording high school for her. With a Friends Project scholarship — at $35 a year — Jessenia was able to more easily afford a book bag, books, notebooks and other supplies for her goal. Now, she’s entering her second year of COLLEGE in Leon, Nicarugua. She and fellow Las Minitas teen Alonso Martinez are on their way to succeeding in their dreams to become the first from their mountain community to graduate from university. The Friends Project helps them achieve this with a $300 annual scholarship each, which goes toward transportation and school supplies. We just paid the first $300 and will fundraise to pay the last $300 in June. You know what’s awesome? Since we have a relationship with the communities we assist, we can follow Jessenia… can’t wait to see what she does after graduation. Every weekend, they walk down 3 hours to El Sauce, where they catch a bus in the morning (sometimes they stay overnight with relatives so they can get the bus) to Leon. 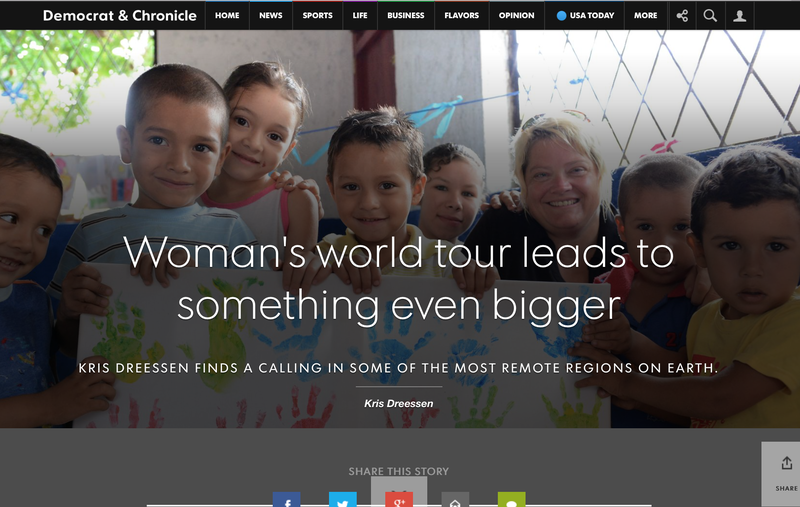 They attend classes all day, then take the 1.5-hour bus ride back. They then walk 3 hours back up the mountain. 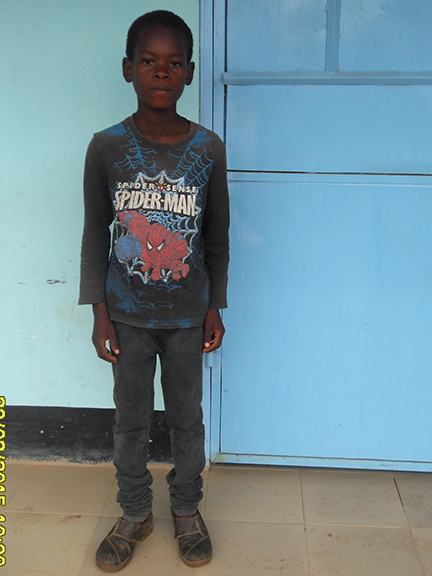 On Sunday, Alonso is up and at English class, supported by The Friends Project. He goes Monday too. Our $300 annual college scholarships are clearly money well spent. So little makes a huge difference. Thank you for your support of this idea, and Alonso and Jessenia. This is Jessenia during high school, with her supplies!